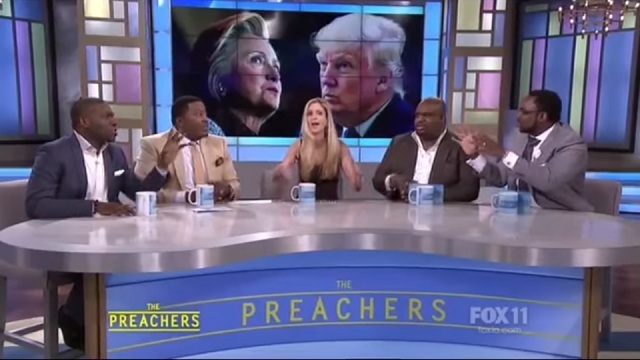 Ann Coulter had an epic interview on a Fox TV show named "The Preachers" which is basically an all-black male version of "The View." Coulter is seen defending Trump despite massive hostility from the cast and the mostly black audience. All her arguments go over their heads and are drowned out by boos, but it's hilarious and great television nonetheless. The program originally aired on Thursday, July 28th.